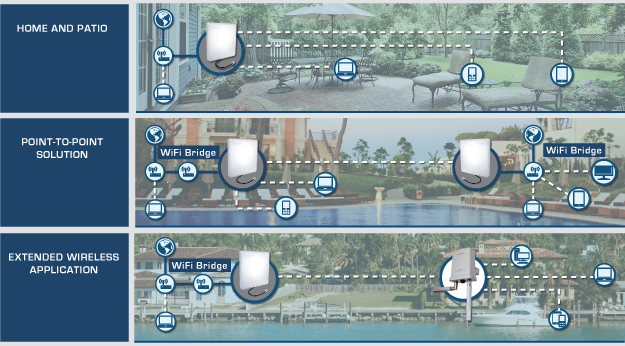 Extend the Distance of your Wireless Devices or Bridge a Connection from Point-to-Point! 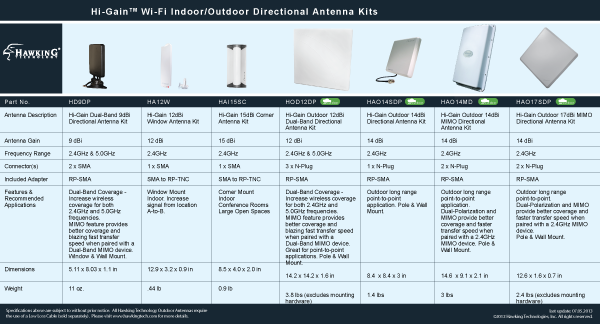 The HAO14SDP Hi-Gain 14dBi Outdoor Wireless Directional Antenna Kit is a heavy duty, weather proof, high powered antenna for extending the range of your existing wireless 802.11b/g/n WiFi devices. 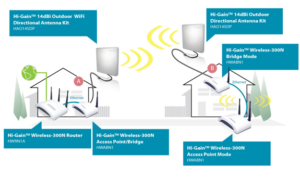 Whether your application requires extending a wireless signal from one building to another or simply from one end of the house to the other end, the Hi-Gain 14dBi is the perfect solution. The power rating of WiFi antennas is measured in terms of decibels (dBi) with most standard antennas measuring just over 2dBi, the HAO14SDP Outdoor Wireless Directional Antenna boosts power to a staggering 14dBi. The Hi-Gain Directional technology concentrates your wireless signal directly towards the wireless source from your network. This results in a significant increase in wireless distance. 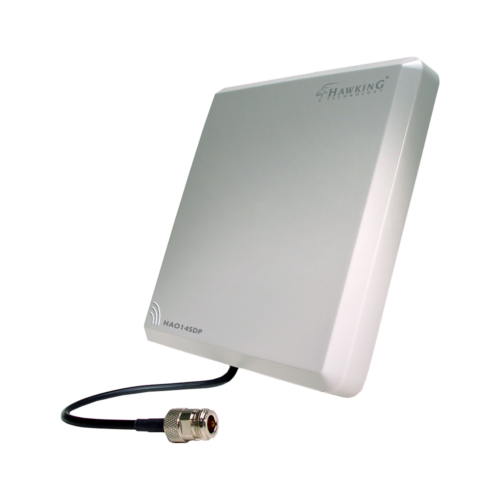 When paired with another Hi-Gain 14dBi antenna, the outdoor wifi directional antenna can be used to create a point-to-point solution that can extend farther than normal coverage.. Installation of the HAO14SDP outdoor wifi directional antenna is simple. It is compatible with most wireless devices on the market with removable antennas. 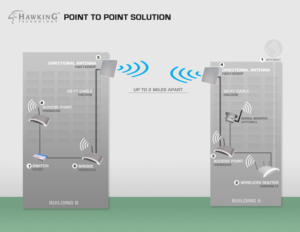 The Hawking antenna comes equipped with N-Type, RP-SMA connector to support a wide range of wireless device. Note: An outdoor low loss antenna cable (model number HAC10N, HAC20N, or HAC30N) is required for outdoor installation and must be purchased separately. Depending on your set up, a shorter cable is recommended for minimal signal degradation (cable loss) due to cable length. Once you have connected your HAO14SDP, be sure to note the signal pattern of the antenna. 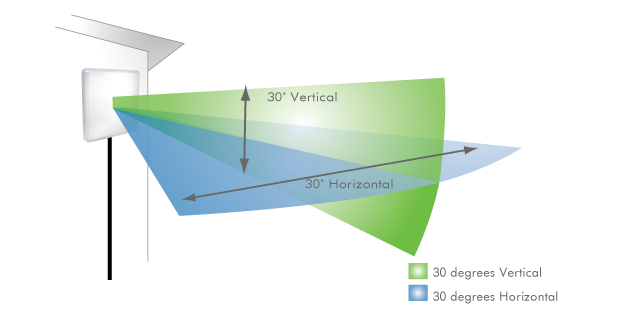 While you will experience superior range and quality with your HAO14SDP, you must be in range of the antenna’s signal. 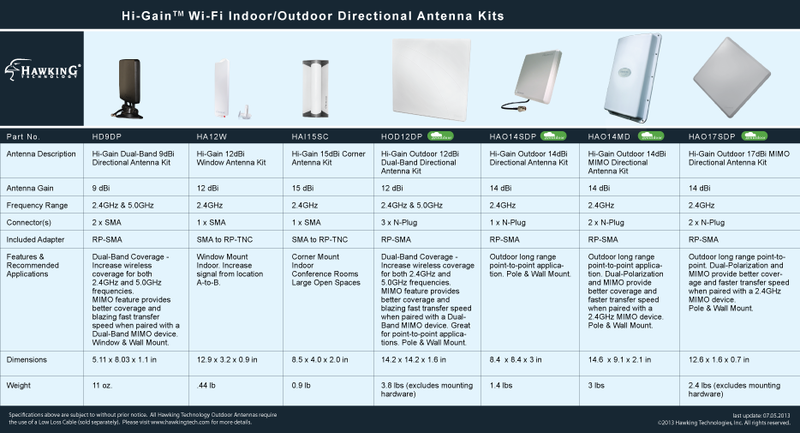 As indicated by the diagram below, the outdoor wifi directional antenna does not give off signal directly below or directly behind the product. 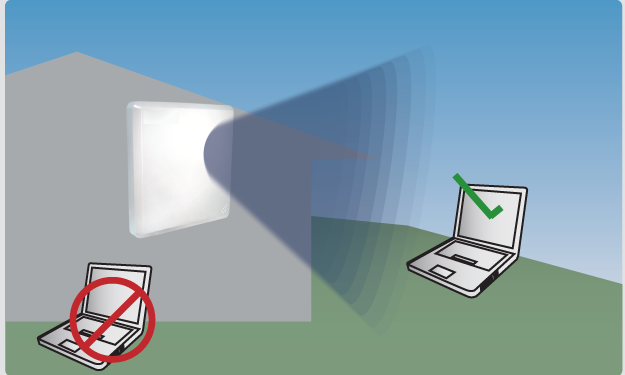 You will receive optimal wireless signal by placing your wifi enabled device within the designated area. Adjust the antenna as needed. *Percentage value derived from antenna gain equation and the results from a controlled testing environment. Result analysis is conducted by an independent study group. Actual results may vary depending on an individual’s operating environment. This includes, but is not limited to, network devices, network setup, building and surrounding materials. I’m not getting the range that I expect Why is that? What kind of antenna adapters do you support? Our indoor antennas use the SMA antenna ports. We have adapters for TNC, MCX and MMX antenna ports available for purchase. Please contact a Hawking Representative for more information. Our outdoor antennas use N-plug antenna ports. Included with this product is an SMA adapter, all other adapters are sold seperately. What kind of antenna connector does HAO14SDP have? The HAO14SDP comes with an N-Female. It has adapter for N-Male to RP-SMA Male. How long of a cable do you guys sell so I can mount this outside? Does the HO14SDP antenna support 802.11N?